Before becoming a criminal defense attorney, Mary Leazer Rogers served as a prosecutor in the district attorney's office in Mecklenburg County. Her experience handling criminal cases from both sides of the courtroom gives her perspective about the strengths and weaknesses of each case, as well as the best strategies for building a strong defense. She knows how the prosecution builds and tries cases and understands the arguments to make to counter the prosecution. Attorney Rogers is highly regarded for her eloquence and determination as a criminal defense lawyer, and she has a strong history of achieving successful outcomes in a range of felony and misdemeanor cases, including DUI/DWI, traffic violations, drug crimes, theft and violent crimes. She also defends people accused of probation violations. Attorney Rogers is admitted to practice in all North Carolina state courts, as well as the U.S. District Court for the Western, Middle and Eastern Districts of North Carolina. She was born and raised in North Carolina and truly cares about protecting the rights of people in the community. 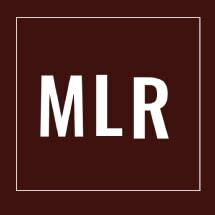 The Law Office of Mary Leazer Rogers is located in Charlotte. Initial consultations are free and confidential. When you retain the law firm for your defense, we will take time to talk with you – to make sure you understand what may happen in your case and what your options are. We explain the law and the criminal procedures that may affect your case so that you can feel prepared for the process. Together, we will work to achieve your goals, protecting your rights and your freedom.